"Twelve South is known for making great products that don't just look really cool, but they all serve higher functions without losing focus on maintaining simplicity." And once again they have created something that if functional as well as cool looking. 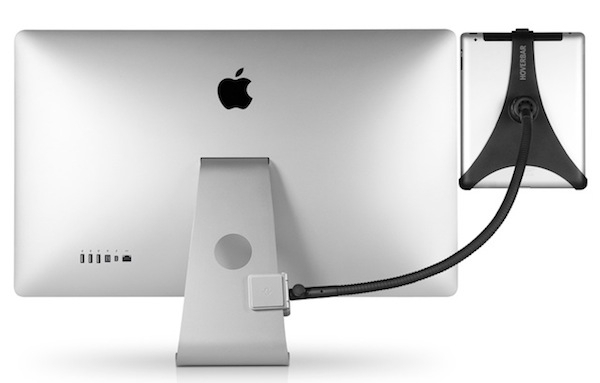 The HoverBar is an adjustable arm that attaches to any iMac or Apple Display, and holds your iPad. It's available now for $79.99 at the Twelve South site. That's a really expensive rear view mirror.